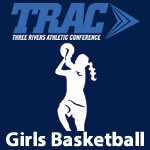 2018-19 Girls Basketball – Page 2 – TRAC Sports – The Official website of the Three Rivers Athletic Conference. The Rock Holiday Classic – Windermere, Fla. The Rock Holiday Classic – Windemere, Fla.